Hudson Gallery is located in a restored 1800’s era building at the center of historic downtown Sylvania, Ohio. As a founding member of the Red Bird Arts District, the gallery is recognized as one of the region’s premier venues for original art. Established in 2003, the gallery has remained committed to it’s original philosophy of exhibiting the work of contemporary artists. Included are regional and national artists, working in a variety of disciplines and media. 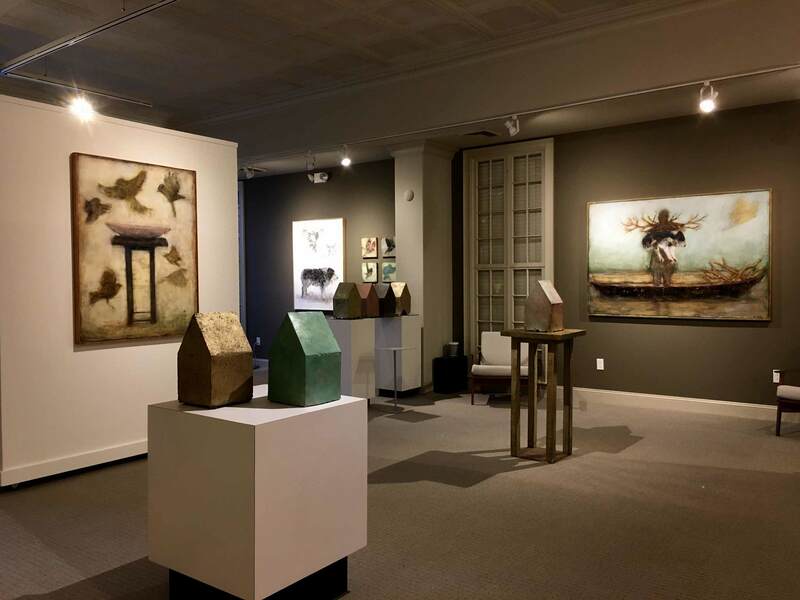 Our mission is that visitors to the gallery will experience an atmosphere rich with a diverse and inspiring selection of work by gallery represented artists. The unique and absolute joy of living with original works of fine art is one that can be shared by new and experienced collectors alike. Barbara and Scott Hudson would love to engage with you in selecting and installing new works of art in your space. In home or office consultations can be scheduled by contacting either Scott or Barbara Hudson at the gallery, 419.885.8381.